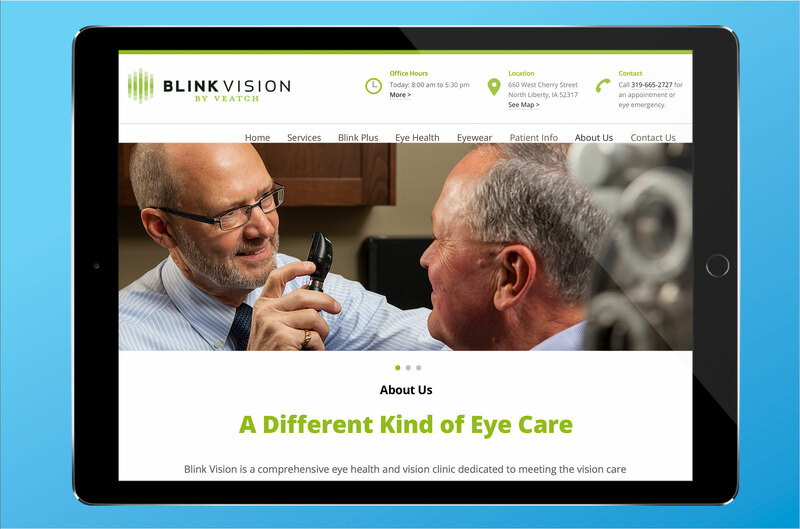 Blink Vision by Veatch is an optometry practice in North Liberty that has built a reputation for proactive eye health, expert vision care, and exemplary customer service. Dr. Veatch and his team came to FUEL looking for a partner who could realign their visual branding and expression to be more reflective of the patient experience in order to take their practice to the next level. The brand refresh began by revisiting a drab set of colors that was not true to the spirit of Blink’s staff. Crisp whites, blues and greens were used to infuse vitality both in store and online. 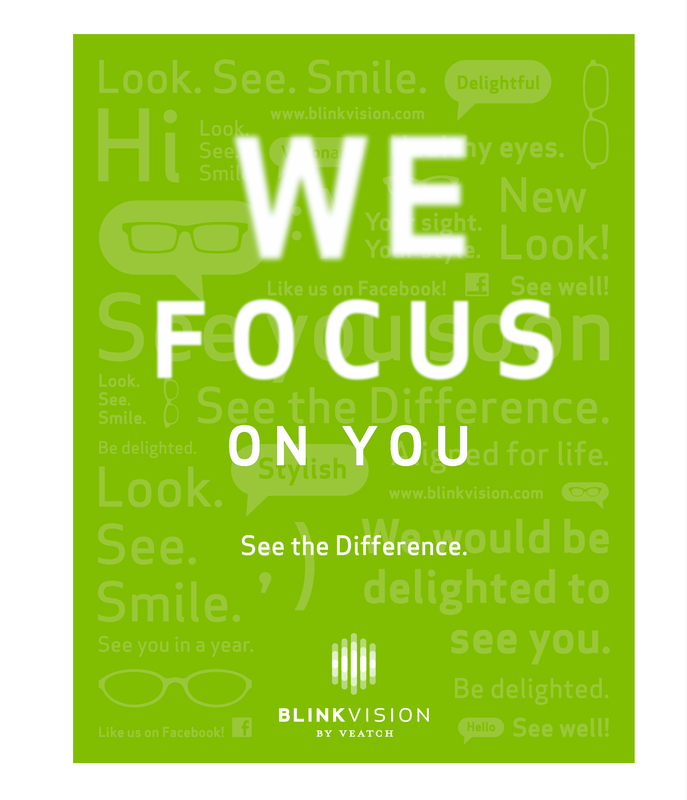 Graphically, we used a blend of photography, type and illustration to not only inform, but to convey approachability throughout the patient experience. These efforts helped Blink re-orient its brand identity, retail experience and healthcare marketing materials to align with the doctors’ vision of attracting and retaining patients. They’ve been growing ever since.